Cold storage warehousing company Cloverleaf Cold Storage has entered into an agreement to merge with Zero Mountain Inc., a cold storage warehousing and transportation company serving customers in Arkansas, according to a Jan. 7 press release. The two companies will provide a total of 140 million cubic feet of storage capacity in nine states, making the combined entity the fifth-largest cold storage warehouser in the United States. The merger with Zero Mountain represents the first deal by Cloverleaf since the Sioux City, Iowa-based company was acquired by Blackstone Group in November 2017. “We really wanted to look for partners that fit our model, and Zero Mountain has a very similar story,” said Adam Feiges, who heads up business development at Cloverleaf. 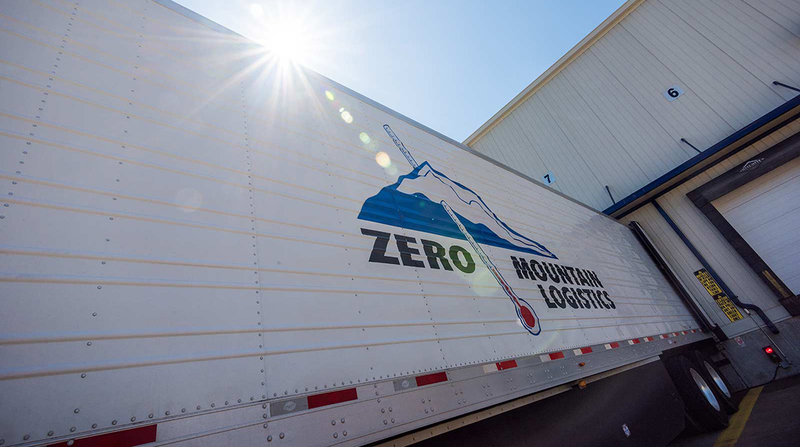 Zero Mountain ships more than 2.5 billion pounds of food annually and manages more than 38 million cubic feet in five warehouses. It also has expansions underway in Arkansas and Texas. Cloverleaf, founded in 1952 by the Kaplan and Feiges families, operates 19 warehouses with more than 102 million cubic feet of total capacity across the Midwest and Southeast. The company ranks No. 8 on the Transport Topics list of top refrigerated warehousing firms. According to Feiges, the companies have not settled on branding post-merger, and will take some time to decide whether to operate under the Cloverleaf or Zero Mountain name. Mark Rumsey and his son, Joseph Rumsey V of Zero Mountain, will retain leadership roles in the newly combined business. Going forward, Feiges said Cloverleaf would continue to seek out opportunities for expansion. I am excited that we are able to come together with Cloverleaf to create one of North America’s largest players in the cold storage business. Blackstone’s purchase of a majority interest in Cloverleaf signaled increased interest from investors in the warehousing field. In August 2018, Cloverleaf bolstered its management team with the promotion of Curtis Mastbergen to president and the hiring of Matthew Bremer as chief financial officer and Ken Smith as vice president of operations. Bremer previously worked at Del Monte Foods. Smith was vice president of transportation and warehousing for ConAgra Foods. Cloverleaf traces its history to 1934, when Israel Kaplan began hauling chickens and eggs from local farms to packing plants. Israel’s son, Mort, agreed to store frozen peas in a shuttered warehouse in 1952, later pairing with son-in-law Dave Feiges, a turkey broker, to launch the refrigerated warehouse business. Zero Mountain opened its first warehouse by converting a limestone cave in Johnson, Ark., into a sub-zero processing and storage vault. At the time, it was one of only four facilities of this type in the United States, according to company officials.